My Life Our Future (MLOF) is an organization founded by leaders in the hemophilia community. It aims to make progress in hemophilia (a genetic disorder that affects blood clotting) treatment through free genotyping. 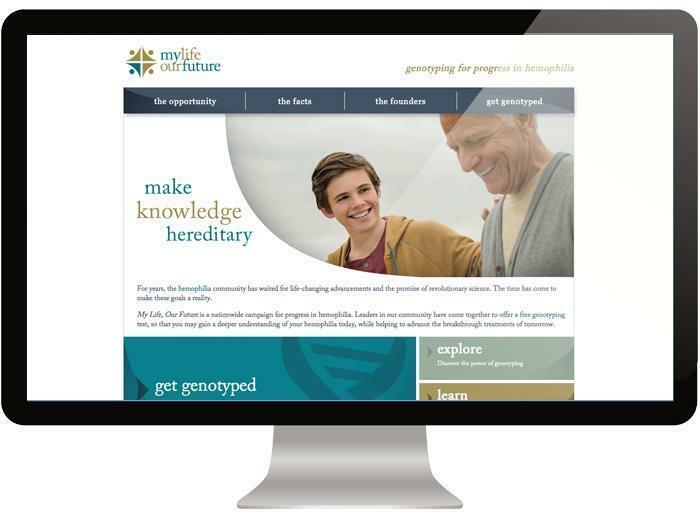 The MLOF website provides users with important information on how genotyping works, how it can help create a better understanding of hemophilia, and points people towards hemophilia treatment centers across the U.S. Medium Well was pleased to get involved in crafting their website and sharing their message. The site was designed by marketing agency Fox + Gazelle. 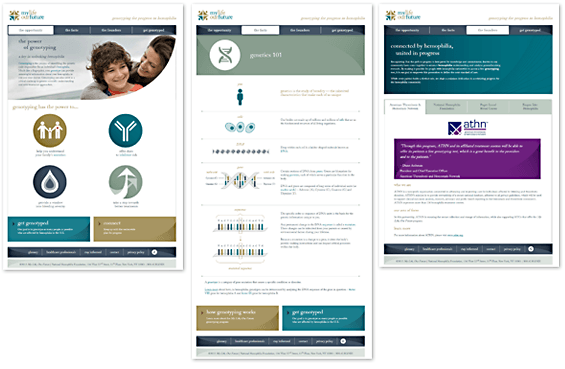 As their partner, we constructed and programmed the site from scratch. Our team achieved the goals for the site by using programming languages and site features, including: HTML, CSS, jQuery, PHP, embedded videos, dynamic maps with rollover, and advanced HTML5 elements. MLOF was founded by leaders in the hemophilia community, including The American Thrombosis and Hemostasis Network, The National Hemophilia Foundation, The Puget Sound Blood Center, and Biogen Idec Hemophilia. “It was an honor to work on the My Life Our Future project. Knowing that our contribution to this effort might actually help save lives is humbling to say the least. Gaining insight into how genotyping efforts, like this one for hemophilia, are organized and promoted is fascinating,” said Matt Harris.